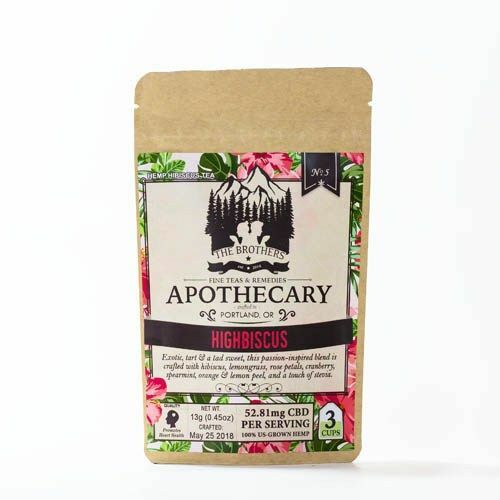 This intoxicatingly deep red blend of Hibiscus redefines what it means to enjoy herbal. Hibiscus has been used for centuries to help lower body temperature & blood pressure, treat heart disease, and soothe throats. 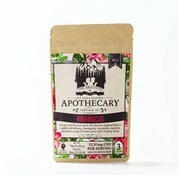 We’ve added a handful of complementary herbs for an exotic, semi-sweet mountain-high experience. Hibiscus*, Lemongrass*, Spearmint*, High CBD Hemp, Orange peel*, Lemon peel*, Cranberry Powder*, Coconut Milk, Tapioca Syrup, Sugar Esters, Rose Petals*, Stevia*.